You are here: Home / Family Food / Best Vegan Holiday Dishes- 4 Recipes Even Non Vegans Will Enjoy! Best Vegan Holiday Dishes- 4 Recipes Even Non Vegans Will Enjoy! Until recently, I wasn’t comfortable with publicizing my conviction to lead a Vegan lifestyle. I held my unique diet constrictions quiet under warm smiles and “I’ve already eaten” regards as traditional meat and other non-vegan friendly dishes were politely passed to other eager guests. It can be a challenge for vegetarians and vegans to feel completely equal when it comes to the holiday menu. Because it often proves difficult to find common ground amidst meat-based favorites of Thanksgiving and Christmas, there may be a slight awkwardness during what should be a celebration. However, if you are a vegan or thinking about becoming one, no need to fret. Creative cooking has opened up a new world of holiday excitement featuring tasty vegan holiday dishes without having to sacrifice the beloved Christmas flavors. In the world of a vegan, little things are big – and stuffing is definitely not something we should have to sacrifice. With rich spices like fresh rosemary and sage, the traditional baked vegetables and dried bread will have the whole table savoring every bite, while filling the house with the fresh aroma of fresh herbs. This vegan holiday recipe is one of the easiest mix it up in a bowl and cook recipes of any holiday menu- egg and butter free, flavor full! 1. Heat the olive oil, and slowly saute celery and onion until onion is slightly translucent. 2. Add all other ingredients, save the bread. 3. Fill a 9″ x 13″ casserole dish with the bread cubes and pour vegetable and oil mixture over them. Mix well and get ready to bake. 4. Bake 35 minutes covered, then 10 minutes uncovered. Help yourself to a heaping spoonful while proudly enjoying, and introducing, your vegan holiday dishes and lifestyle to those you love the most. While the traditional Thanksgiving turkey is replaced by few, there are certain hearty alternatives that will fit on the day’s holiday menu, while requiring no apologies. For those that initially feel uncomfortable with a vegan holiday recipe, describe the food and how it’s cooked in a way that everyone can imagine tasting it, as well as see it, smell it, and hear it. A classic family meatloaf is bound to do the trick. A healthy balance of brown grains, vegetables, and familiar herbs – this “meaty” vegan dish goes harmoniously with favorites like silky mashed Yukon gold or sweet potatoes. Vegan-friendly meatloaf and of course, the accompanying gravy, is only a few easy ingredients and steps away. I am sure you will enjoy these vegan holiday dishes. 1. Lightly grease a 10-by-5-by-3-inch loaf pan at 350 degrees. 2. Heat oil over heat and gently sauté onion, carrots and celery until soft. Eventually stir in garlic, thyme, and other spices. After mixture cooks for a few minutes, add the tempeh, soy sauce, and broth. Cook for about 5 minutes, stirring frequently. Transfer the already flavorful mixture to a large bowl. 3. Add brown rice and bread crumbs to the bowl and mix thoroughly until it’s a tight-held mixture. Season with salt and pepper. 4. Once transfer the mixture into a pan and covering with foil, bake for 45 minutes,covered, at 350 degrees. After removing foil, bake for an additional 15 minutes. 1. Eat oil and onion over heat until onion is soft. 2. Add all other ingredients and continuously continue to whisk until smooth. The decision to eat meat can be just as “right” as the decision not to. With these vegan recipes, there will be no reason to decide either way. Ending a Thanksgiving meal without a spoonful of Pumpkin Pie is a holiday sin, right? Not to worry, heaven vegan bliss is only about 30 minutes away. There is no better time than the holidays to shake things up a a bit in a healthy and celebratory manner. What health-conscious diners wouldn’t rather enjoy a guilt-free, delicious dessert without the heavy calorie intake of traditional eggs and cream? 1. For crust: combine flours, salt, sugar and baking powder. 4. Line a 9-inch pie pan with the dough. 5. Crimp the edges with a fork. 6. Refrigerate until ready to use. 8. Pour into prepared crust and smooth top. 9. Bake 10 minutes at 425F. Reduce to 350F and bake until filling is set. 10. Ideally, leave in refrigerator a day in advance. Not a bad snack at any hour. In fact, I can’t imagine any other sweet aftertaste that would be thoroughly enjoyed more. Ideas like these contemporary and elegant vegan holiday dishes and recipes continue to reflect the evolution of the traditional Christmas setting. Tasty and colorful produce, along with a few innovative ingredients, are bound to kick off this year’s Christmas Day the right way. What are your favorite vegan holiday dishes? You can find more vegan food options and vegan recipes here. 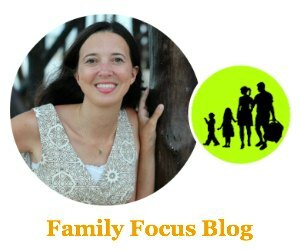 Guest post by Sandra Harris who is a writer for all things family-oriented.